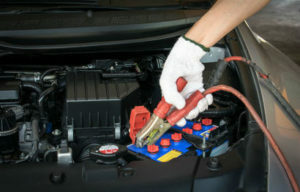 Our business specialises in car jump start service in Sydney. If you're in need of a highly regarded company that can manage all of your roadside assistance needs, call us by clicking the button below. We provide customers with the amazing convenience of rapid and dependable jump starts. 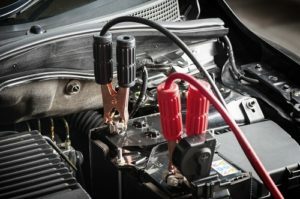 If your vehicle has a battery issue, you can depend on us for helpful jump start assistance. If you need assistance that can help you get back on the road quickly and securely, our jump start service is always just a brief phone call away. Our jump start assistance can be invaluable to owners who for whatever reason forgot to turn their lights off. Our jump start service doesn't end with a simple jump start, either. That's because our specialists offer customers thorough electrical systems assessments that can guarantee proper battery charging. If you want to do anything you can to boost the life and performance of your car battery, you can trust our company. If you need roadside assistance in Sydney that's genuinely budget-friendly, our company is without a doubt the best option that's available to you. It's not exactly easy to find affordable services in Sydney these days. If you're interested in speedy, trustworthy, seasoned and economical roadside assistance in the Sydney metropolis, we can help. Call our company without hesitation to schedule the best and most efficient jump start service in Sydney. Our staff members are well-versed in all different types of roadside assistance needs.